This is a compilation DVD, released worldwide except for Europe, of a number of music videos spanning a large part of Sarah's carreer. The following is the "track list" of the DVD; for the lyrics and the album a given song appears on, see the lyrics index. The DVD is released by Angel Records in October 2006. 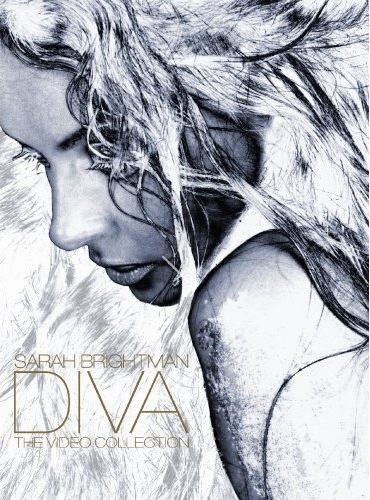 This collection features twenty-one music videos, spanning Sarah's early performance career (with Hot Gossip and Andrew Lloyd Webber) to her recent innovative classical-crossover recordings. Join Sarah on a three-decades-long musical odyssey to locations far and wide in this much-anticipated video anthology. This collection is woven together with Sarah's personal narratives, as she shares illuminating anecdotes and recalls the impetus behind each project. Fans who purchase this DVD will have exclusive access to bonus material via this Official Site. This bonus material appears to be two videos, namely "Winterlight" and "All I Ask of You" (with Cliff Richard). Why did they not add these to the DVD? Very strange! The DVD is in the NTSC format, but nowhere does the cover indicate any region coding, and it plays without any problem on my region-2 DVD player, so I guess Europeans can order the DVD, provided their DVD player and TV can show NTSC. I am told that the DVD is also on sale in Autralia, which has (as far as I know) the PAL format for the TVs. The videos on the DVD are preceeded in each case by a short introduction from Sarah: she says something on the background of the song and where and how the video was filmed. During these interviews the camera is not held still, but rather moved around a bit, which makes watching these sequences rather unpleasant. The videos on the DVD are all music videos, not concert registrations of any sort. This means they suffer from the same defect as most videos nowadays: they show a lot of images, ofter changing very fast, without little or no relevance to the contents of the song. The booklet in the DVD box has a lot of photos of Sarah. Not all of these are related to a songs on the DVD: it's just an arbitrary collection of photos.